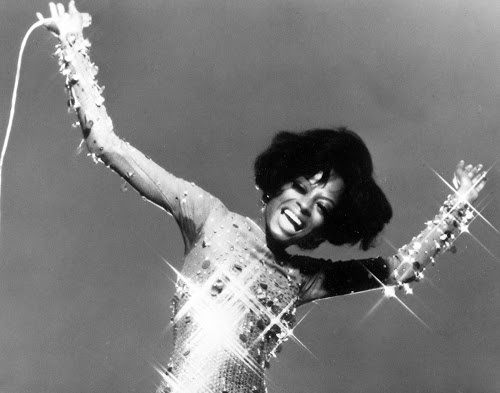 Just like Diana Ross loves disco, I love my five senses, so let's celebrate this week's standouts, shall we? So much change is in the air this time of year, and with a major shift in climate comes a major shift in look. It's hard to let go of the ease of summer's beachy minimalism, but fall introduces the opportunity for dramatic color contrast against paler skin...and some glitter for the festive season ahead. Eyes - A single swipe of sparkling liner followed by my favorite natural mascara. Cheeks - Exaggerate the flush that overcomes your cheeks as you sprint from the front door/car/subway stop to your office door/grocery store/cab with a generous application of rosy blush. Lips - Listen, I deeply believe that women show their finest beauty when confidently greeting the world with faces unadorned, but I will also argue that there is magic in red lips. For me, a stain of bright fire or brooding crimson emits boldness, decisiveness, and joie de vivre. When it comes to a shade that flatters a host of complexions and a matte formula with epic staying power, Stila's Stay All Day Lipstick in Beso kills it. Pronounced ee-lahgn-ee-lahng, this flowering tree native to tropical Asia has the best name of any plant, hands down. (In case you're curious about the best name of a country, though, it's obviously Djibouti -ji-boo-tee- the tiny east African nation whose capital city is?...Maybe this will ring a bell). Two brands I trust for pure essential oils are doTERRA and Mountain Rose Herbs. Just a drop gently rubbed between the wrists and then along the neck will last for hours. This is also a fantastic primer on how and where best to use essential oils on the body. Note: I've stashed away all of my conventional perfumes in favor of pure essential oils (stashed, not thrown away, because the glass bottles are legit beautiful and smelling them every now and then brings back rushes of nostalgia). Relatively, I'm on the low end of obsessive, but now that I know about gnarly phthalates and other invasive health disruptors I can't not actively remove them from my life. Sun, desert, earth, happiness, love, connection, integrity, healing, transformation. Those are words that stream to mind when I think of Sun Potion as a brand and a mission. They source organic and wild-crafted medicinal plants, superfoods, and tonic herbs from around the world to deliver "potent, healing substances with the ability to transform consciousness and health." You can read more about the background of -and love between- the founders, Scott Linda and Nitsa Citrine, here. The GOOP team does a good job, too, at summarizing many of Sun Potion's offerings and how to best utilize them in remedies. I'm particularly attracted to the ashwaganda, astragalus, and he shou wu in the "Calm" recipe. I am a big believer in the healing power of touch. It's my #1 love language - how we most naturally give and receive affection. It helps me feel connected and in-tune with my friends and family. It's why I'm beginning Reiki classes and it's why I proudly belong to Team Free Hugs. This past summer I was shopping at the Union Square Greenmarket when I spotted a girl, probably in her young twenties and probably homeless, holding a "FREE HUGS" sign. She was quiet but smiling, and a light shone from within her almost tangibly. I didn't see anyone else stop to take her up on her offer, but I did. Many people would say that I was stupid to do so ("You could have been mugged, Mercedes! "), but I know two things clearly: I am street-wise and I trust intuition. And that hug was one of the best hugs ever.